Southwest Airlines passenger Marty Martinez said he believed his life was in danger during the plane's descent. 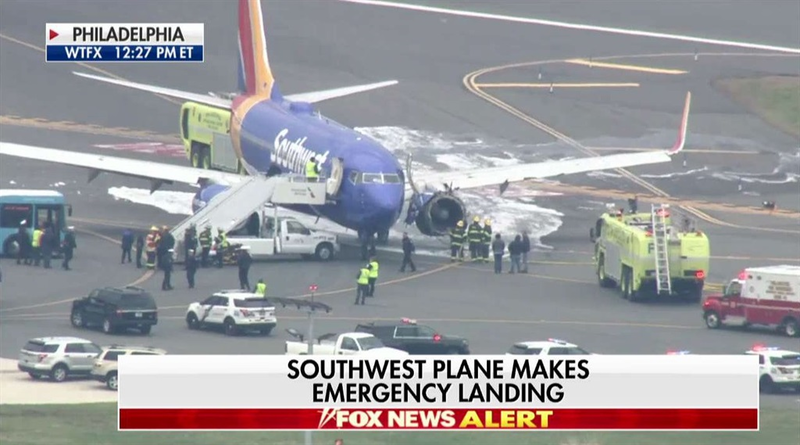 Southwest Airlines Flight 1380 from New York to Dallas on Tuesday made an emergency landing at Philadelphia International Airport after one of its engines failed and caused an explosion that sent shrapnel into the cabin. A passenger on the flight told CBS News about the incident while still on the aircraft. One passenger died as a result of the accident. 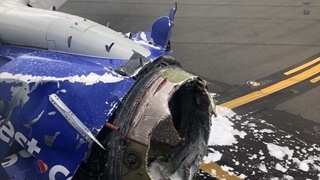 On Tuesday, Southwest Airlines Flight 1380 from New York to Dallas made an emergency landing at Philadelphia International Airport after one of its engines failed and caused an explosion that sent shrapnel into the cabin. One passenger died as a result of the incident, according to the National Transportation Safety Board, making it the first fatality on a US passenger airline in more than nine years. One of the passengers on the flight, Marty Martinez, told CBS News about the incident while still on the aircraft. Martinez said it became clear something was wrong about 30 minutes into the flight. "All of a sudden we heard an explosion," he said. 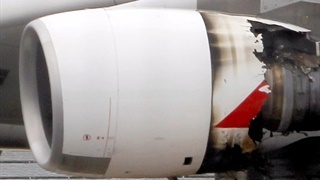 He said it appeared the plane's left engine had exploded and broken a window in the aircraft's 17th row. Martinez said a female passenger, whom Martinez described as "an older woman," was injured as a result of the explosion and removed from the aircraft in what appeared to be critical condition. It's unclear if the passenger Martinez described was the same person who died. After the explosion, oxygen masks were released and the displaced engine reportedly broke through a window. Martinez started streaming his experience on Facebook Live, thinking he was documenting the last moments of his life. According to Martinez, the aircraft descended for 10 to 15 minutes before making an emergency landing. But during the descent, Martinez said he and some of the plane's other passengers thought they would not land safely. "It felt like it was free-falling going down," he said. "Of course everyone's freaking out. Everybody's crying. It was the scariest experience." Martinez said and his fellow passengers were told to brace for the emergency landing. He speculated that the landing gave him "a little bit of whiplash," but said that he didn't receive any serious injuries from the incident. "It was the most terrifying experience," he said. Six months ago the AG said it was too early to tell if KPMG was compromised. On Tuesday he terminated its contracts 'with immediate effect’.